I found a couple of Mountain Chickadees at Brush Hollow Reservoir yesterday a location that is 25-30 miles from the foothills. 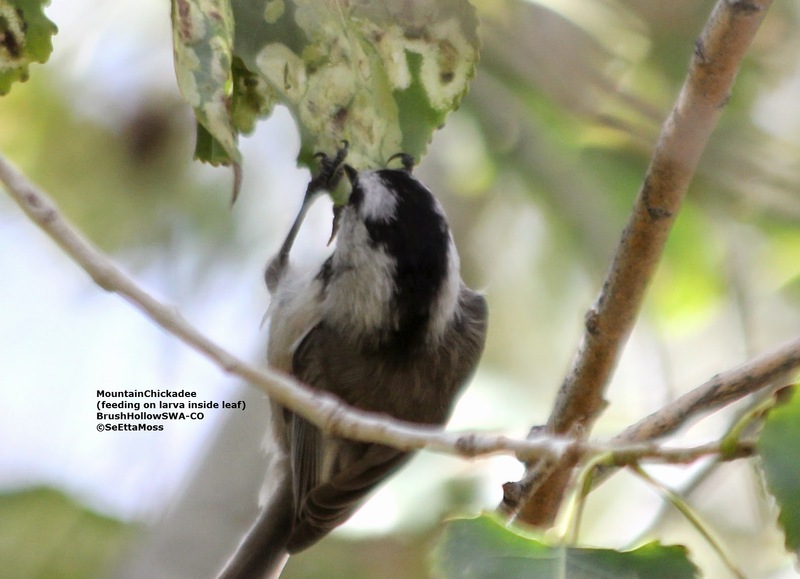 I had spotted a single Mountain Chickadee on the Canon City Riverwalk last week but since this is only about 5 miles from the foothills a stray Mountain Chickadee sometimes comes down early but with those at Brush Hollow there may be an early plains invasion of this species. 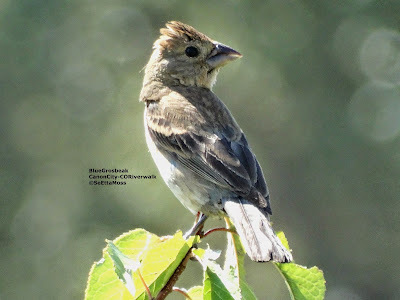 I found the one in these photos feeding on larva that is inside of most of the leaves in the cottonwood trees around my area in the fall. I looked that up two years ago when I first noticed this with warblers feeding like this and found that leafminers are insects that feed inside of leaves and that they produce large 'blotches' that are irregularly round. Over the week-end I did some birding at the Royal Gorge Park (not the for-pay now amusement park but the free and not-yet developed park owned by the City of Canon City). One can get to the edge of the Royal Gorge Canyon which is breathtaking and not uncommonly flown by White-throated Swifts. 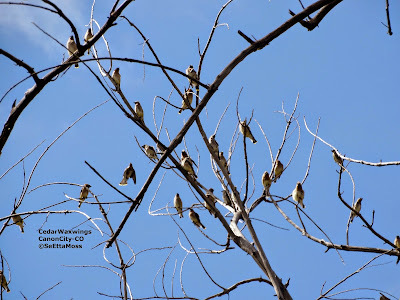 There was a fairly good sized flock of White-throated Swifts that were in a feeding frenzy--one came so close past me, only a few feet, that I reflexively pulled my outstretched camera back close to my body. 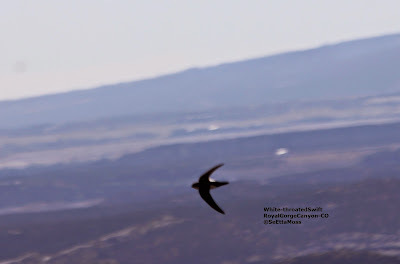 As can be seen by the pic just above this is a very scenic backdrop for watching these aerobatic swifts.